Slavery can be simply defined as the activity of having slaves or where individuals are owned by other individuals. It was only in the 18th Century that the African Slave Trade assumed the dimensions and brutality which made it one of the most infamous periods of our world history. Importantly, it is only from the 18th Century that we have proper recordings of slavery, the slave trade (both indigenous and trans-Atlantic) and its development. It is equally important to note that there was internal slavery among African tribes long before the arrival of European slave traders. The institution of slavery was well developed by the time non-African traders arrived on African soil. For example, in the Kingdom of Dahomey, neighbouring Yorubaland became the hunting grounds for slaves to work on plantations. Even today, African societies are largely reliant on agriculture as a means of survival. Slavery was a common feature of the agricultural based societies who were heavily reliant on manual labour as a means of production. Rulers from Benin, the Congo, the kingdoms of Ashanti, and Loango had sold a great number of slaves throughout the generations prior to the arrival of the European traders and the trans-Atlantic slave trade in the 15th Century. 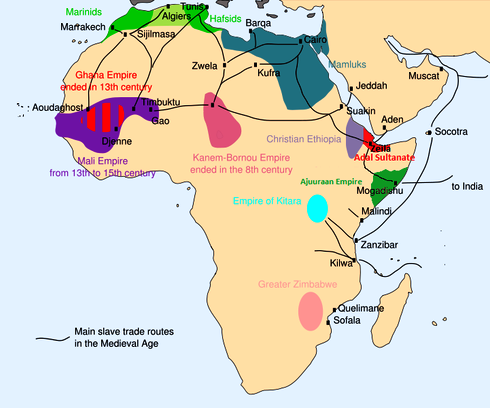 Sub-Saharan Africa was linked to North and West Africa through well established caravan routes, and the indigenous slave trade was rife along these routes. African rulers and merchants were able to use their established trade routes to trade in slaves, enslavement most often being a by-product of warfare and manipulated religious and judicial institutions. The first period of indigenous slavery was during the medieval Islamic period, where slavery was focused on areas with direct contact with the Islamic world. 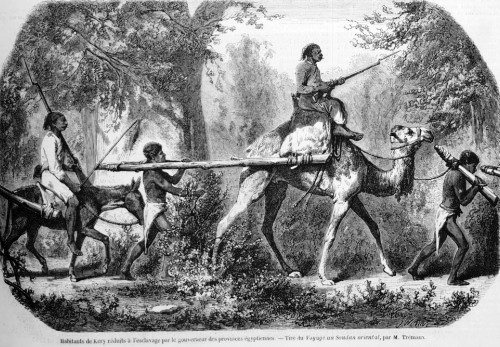 Islam, and groups under Islamic influence, had an unwavering effect on the initiation of the intra-African slave trade. 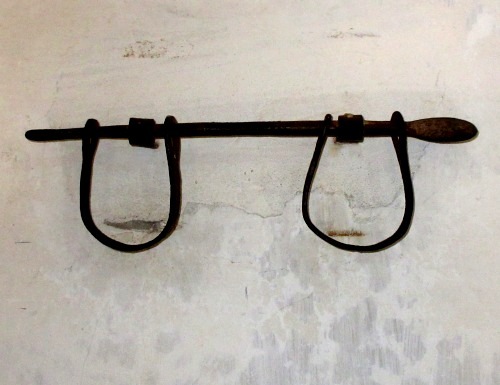 During this period, slaves became an important element in society, being used in the military, administration, and domestic services. 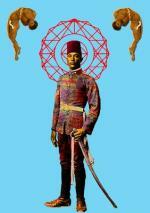 Slaves were forced to adopt the Islamic religion, and the trade was between Islamic states throughout Africa. By the time the European traders arrived in the 15th Century, slavery had been in existence for quite some time. the export slave trade was modest during these times, it was only on the arrival of the European traders in the 15th Century that the export slave market really started to take off. Nonetheless it is important to note the existence of the indigenous African slavery before the trans-Atlantic slave trade, or "The Slave Trade" as is so often taught. 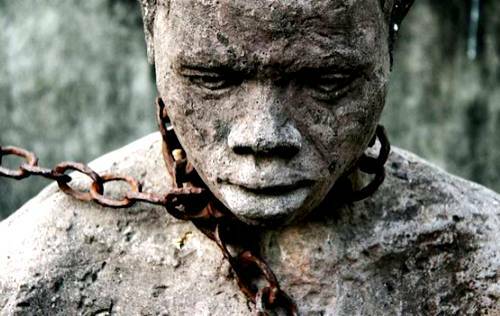 One should distinguish between European slavery and African slavery. African slavery was between tribes and kingdoms, where slaves often retained some rights and could be released from servitude to rejoin family clans. In contrast, European and trans-Atlantic slavery was far more extreme; slaves became the sole property of their owners, and their children were also slaves. There was a perpetual cycle of slavery associated with the trans-Atlantic and European slave trades. While there is the distinction between the two, it is important to note that slavery did not begin with the European slavers; it was well in existence by the time they arrived on the shores of Africa. The Arrival of the European-Slavers, and the trans-Atlantic Slave Trade. By the beginning of the 19th Century, in the Tuareg of southern Sahara, between 70-90% of the population were said to be slaves. 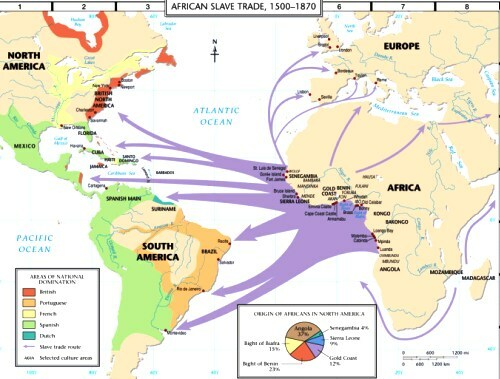 It is undoubted that the arrival of the European traders really magnified the slave trade. This massive trade in human beings was because of mutual co-operation between African kings, merchants, nobles, war-chiefs (the sellers) and the European traders. The impact of the European market for slaves was much more intense over a much smaller period of time. 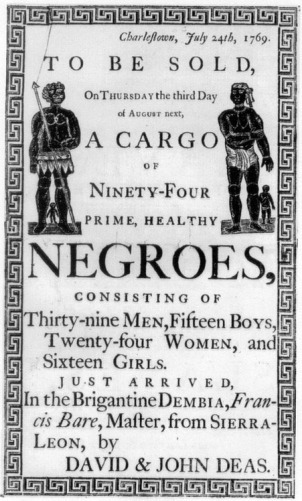 Although an exact figure on how many slaves made the journey across the Atlantic, it is estimated that the figure surpassed 12.8 million people during the 17th and 18th centuries, with a possible 70 million people enslaved in Africa in total from the beginning of the 15th century to the abolition of the Slave Trade itself. Again, it is simply impossible to give an exact figure without accurate records of all the human beings subjected to slavery and the slave trade. Between 1801 and 1866, records from West-central African slave exports show that 2 077 000 slaves were shipped to the America’s. 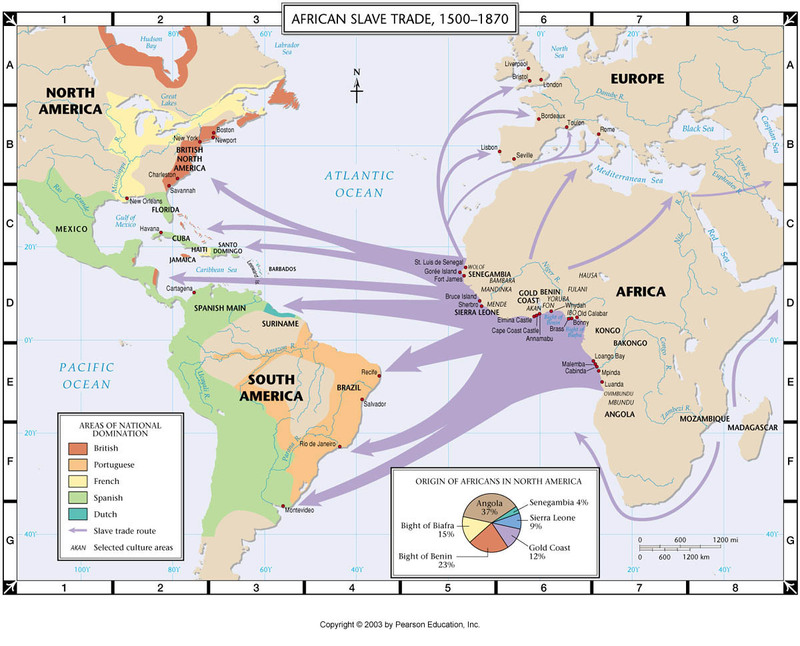 Participation in the Slave Trade changed the structure of the African societies involved in it. There was the rising of powerful elites, especially with the trade in guns and ammunition, large areas of land were depopulated, mass migrations to more secure areas, and the loss of men in their most productive years led to the weakening of tribes at a steady rate. Wars between tribes primarily became to take prisoners to sell to slavers in exchange for imported goods; beads, cloth, copper-wire, hats, umbrellas, guns and ammunition, alcohol, and spices were primarily in demand by African traders. It should be noted that slaves were not the only “merchandise” wanted by the foreign traders; Africa is rich in natural resources and gold and ivory were traded in abundance in addition to slave-labour. African rulers and merchants were able to tap into pre-existing trading routes to supply ports with slaves for trade. Power and control was derived from who controlled, and who had access to, the slave routes. The demands of the American and Mediterranean markets stimulated the growth of commercials and military elites in Africa. By the mid-19th Century the Tuareg area of the Southern Sahara was 70-90% slaves. European slavers hardly ever ventured into the interior and met the African merchants on the coast line. With the coming of the external slave trade, the entire port system of Africa underwent change. Before the 15th Century, the main ports that were used for trade across the Mediterranean were established due to commercial activities of European merchants in the north of Africa, as well as from Portuguese exploration voyages of Morocco, Western Sahara and Mauritiana. 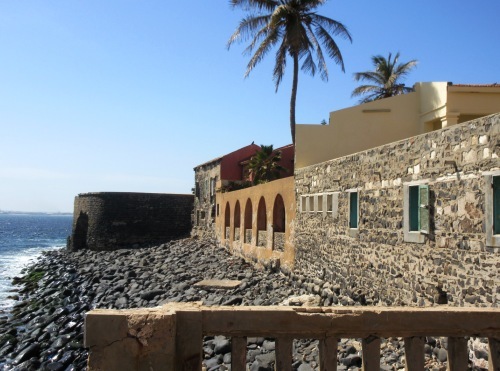 Ports in the Senegambia and Cape Verde were established to support foreign trade, as well as intra-insular trade between the isles of Maio, Sal, Sao Nicolau, Sao Vicente and Santo Antao. The Gambia and Senegal rivers were also used as waterways into the African interior. With the arrival of European trade fleets in the 15th Century there was three main systems of interconnected ports; Sao Jorge Damina (which is the present-day Elmina), and the ports of Axim and Shama (both located in present-day Gambia); the ports of Sao Tome and Santo Antonio in Principe (now the present-day Sao Tome and Principe), Fernao Po and Annobon (present-day Equitorial Guinea); and finally, the coastal ports along the Bights of Benin and further south to Cape Lopez. Later on, ports along the West-central African coastline of modern day Congo and Angola came into contact with the foreign slavers. As the slave trade increased between the 16th-19th Centuries, the functionality and importance of the various trading ports changed over time. 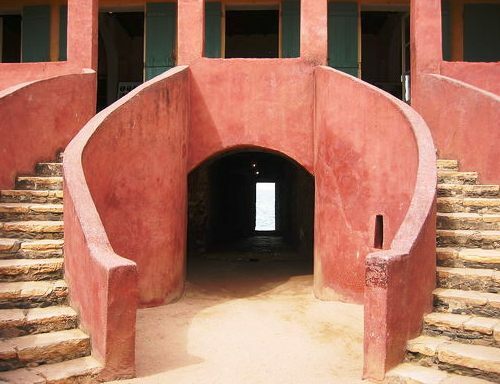 The ports of Goree, Saint-Louis, and those in the Gambia river estuary became pivotal in the slave trade during the 17th and 18th centuries, as well as for the trade in bees wax and ivory. In 1760, almost 180 voyages were made to the Senegambia ports, as compared to just over 20 voyages in 1740. 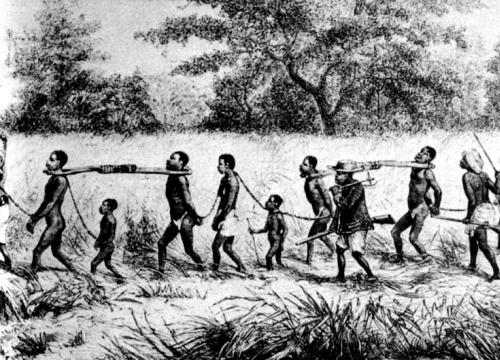 In the 18th and early 19th centuries the growing demand for slave labour in the European colonies in the Americas meant ports such as Benguela, Cabinda, and Malembo became important gateways for the trade, allowing for the import of American products and the export of African slaves and raw materials. Ports such as these became direct links to the Americas in the trans-Atlantic trade. When there were the eventual calls for the abolition of slavery, places like Dahomey in West Africa became more important as slaving ports as the narrow creeks made it hard for the British Royal Navy to patrol the areas. Slaving continued somewhat unabated into the 1840’s despite the calls for abolition as well as the illegalisation of the trade by Britain in 1807. It would be imprudent not to speak about the treatment that slaves were subjected to during the journey to the coast, as well as on the slave ships. One of the many reasons why the slave trade continued, despite calls for its abolition, was that it was an extremely profitable business venture. The slave trade had provided an efficient economy which African rulers and states were dependent on. Gezo of Dahomey was offered £400 by the British government as compensation for ending the slave trade but was making almost £60 000-00 annually from the trade. African rulers resented being told how and what they should trade and continued to trade with merchants as an act of defiance to foreign rule. Slaves were subjected to harsh conditions; from capture, the journey to the port, the long ship ride across the ocean, and upon arrival. Deaths were common on the march to the ports. Slaves were chained together by the hands, neck, and feet and forced to march for weeks on end with little or no sustenance. A large portion of the survivors had to then endure a grueling trip across the ocean, packed into slave ships like sardines. Death was not uncommon, and bodies were simply thrown overboard. There are many reports of suicide on the ships; a final act of defiance against the slave master, or a need for an escape from a lifetime of slave labor? Suicide ranged from getting hold of guns and knives, to mass starvation, to leaping off the decks of the slave ships into the ocean. 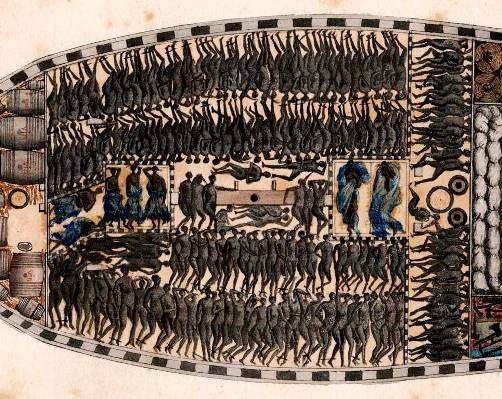 Aboard the New Britannia in 1773, slaves managed to break free from their chains and blew up their entire ship, blowing themselves up with their captors in one of the most dramatic forms of mass suicide witnessed in the trans-Atlantic trade. Nutritional factors and diseases contracted on the journey to the port has been argued to have played a significant factor in the deaths on board ships. Slaves were subjected to all kinds of physical and mental torture aboard slave ships; sexual abuse and humiliation was not uncommon. Men were often separated from women and children, which led to women and children being left vulnerable to crew members. The environment on board the slave ships were fertile grounds for acts of male aggression toward the vulnerable slaves. Merchants were sure to purchase the healthiest, and strongest, slaves at the African ports and the weaker, disease ridden remainder were sold off as slaves at that particular port of exit. Upon arrival at the destination port, slaves were purchased and immediately put to work. The use of the whip and physical aggression illustrates the slave master. Slavery is, without doubt, one of the greatest taints on the existence of the human race. For a hands-on account of life on board ship, read this excerpt, by Abolition campaigner and formed enslaved African, Olaudah Equiano, who wrote his autobiography in 1789. 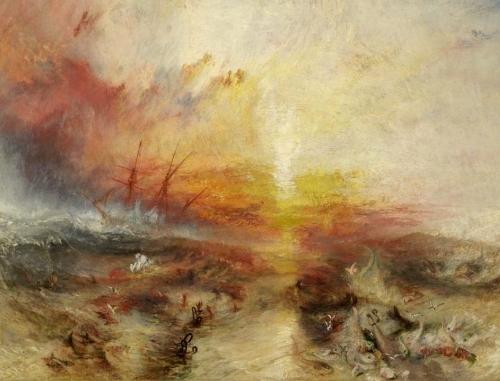 William Turner's painting Slave Ship is based on the true story of Zong, a slave ship and its captain who threw the dead and dyeing overboard to take advantage of an oncoming storm to collect insurance on his cargo being "lost at sea". Britain was the first country to formally abolish the Slave Trade in 1807 with the passing of the Act for the Abolition of Slave Trade. It took almost 20 years for the slave trade to be formally abolished; an Abolition Committee was set up in 1787 with the likes of Granville Sharp, William Wilburforce, Thomas Clarkson and Jonathan Strong forming the committee. The Abolition Committee was known for its spearheading of the abolition process, as well as the founding of modern day Sierra Leone – a home for freed slaves. The Act formally abolished slavery in British Colonies, and it became illegal to carry slaves on British ships. However, the trade continued for decades to come. 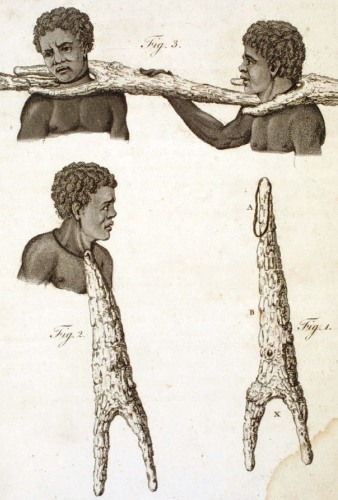 As previously mentioned, the trade was a profitable exercise for European traders as well as African merchants. African nobles and elite were not willing to give up the trade, and continued to trade in the “black market” sense with British traders. 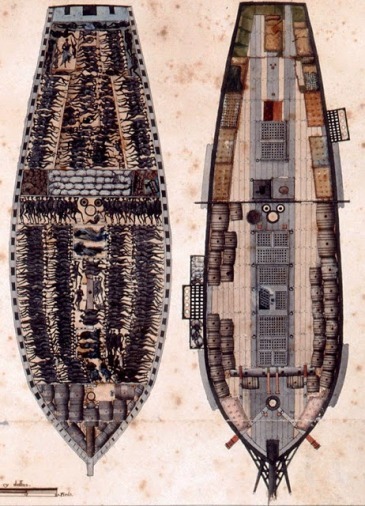 The British Royal Navy was deployed to deal with British slave ships that continued to trade despite the Act being passed. Other European nations continued their own slave trades for years after the 1807 Act was passed, and thus the abolition only really took serious effect later on. However, countries did follow suit after the 1807 Act was passed; in 1814 the Netherlands abolished the slave trade, whilst in 1815 the Congress of Vienna (United Kingdom, Portugal, Sweden, Norway, France, Austria, Russia, Spain, and Prussia) declared its opposition to slavery. In 1865 the United States adopted the 13th Amendment which ensured that neither slavery nor involuntary servitude shall exist in the United States. It has been argued that the effect of the abolition of the slave trade, especially in Great Britain’s case, was a prologue for the impending British colonialism of Africa- the “Scramble for Africa”. Once the 1807 Act was passed, the British Royal Navy embarked on a quite ruthless blockading and capturing of slavers and slave ships. African leaders were forced into signing agreements to end the trade, and non-compliance was often met with stark resistance from the British. Millions and millions of Africans were uprooted during the slave trade, many of whom had no memory of where they were from. Britain managed to control the abolition of slavery for the better part of Northern Africa but had difficulty in controlling the trade in Southern Africa where the Portuguese and Brazil were still actively involved in the slave trade. As a result of individual nations slowly abolishing the slave trade at its own pace, there cannot truly be an end date to when the slave trade was abolished. In 1948, Article 4 of the Universal Declaration of Human Rights declared slavery contrary to human rights. Technically, all member states of the United Nations are bound by this treaty, and even when not ratified as law in an individual member state. Unfortunately there is still modern day slavery rampant in certain countries in Africa. Libya, Mauritania, Nigeria, Ghana, Egypt, and the Sudan all practice modern day forms of slavery in some way. As Edmund Burke so aptly puts, “Slavery is a weed that grows on every soil”.